We are a part of Gowra group with 100 Years legacy with diverse presence in distribution, imports, Engineering services, Aerospace, Engineering Automation, Manufacturing & Real Estate. GBB is an end to end IT Infrastructure Solutions and Services Company focused on helping customers transform their businesses through innovative use of technology & by partnering with the best vendors in the respective practice/area of our focus. When it comes to Post sales Service, it’s all about “Customer Delight which could be achieved only by exceeding customer expectations. Our Certified engineers & Subject matter experts would always be ready to solve the customer issues pro-actively. Integrity-Upholding our reputation is paramount as we are judged by how we act. We are committed to be truthful in all our actions. We hold ourselves to the highest ethical standards and behave in the way that earns the trust of others. Customer Delight – GBB believes that the Customer is the reason for our existence and the only guarantee to our future. Everything we do must delight our Customer, each time and always. Team Work – Whatever the strength of the individual, we will accomplish more together. We put the team ahead of our personal success and commit to building its capability. We trust each other to deliver. 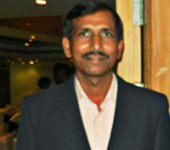 Subbaram Gowra is a serial entrepreneur with passion for technology & frugal innovation . He holds a Masters of Business Administration (MBA) from Osmania University and Bachelors of Pharmacy from Gulbarga University. At GBB ,He manages few large strategic customers , pro-actively steers marketing & operations of the company . He comes with years of experience in pitching best-in-class enterprise IT solutions. Under his leadership, GBB has grown from a retailer in the year 2000 to an end to end IT Solution provider . Prashant comes with Years of rich experience in IT operations, Planning and Management of live & large computing workloads, before his stint in GBB he played IT leadership roles in diverse business domains like Pharmaceutical and Life Sciences. At GBB, as a Technical Leader he spearheads the strategy , direction & also co-manages the Centre of Excellence along with Mr. Subbaram Gowra. He holds a Masters of Science in Information Technology (MScIT) from Sikkim Manipal University. 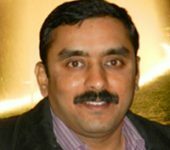 Saurabh is a multi-domain expert with hands-on expertise in Linux server administration, Virtualization, Cloud computing, Open source technologies, Programming, System security, Network security and Computer networking. Saurabh has done his B. Tech (ICT) from DA-IICT Gandhinagar, Gujarat & has also completed MS (CSE) from IIIT Hyderabad. He also comes with several years of experience in building & managing complex (& heterogeneous) IT infrastructures. In his professional career he has worked with premier educational institutes, government organizations, start-ups and MNCs. 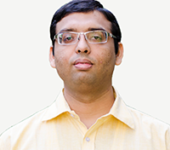 At all these organizations Saurabh has played role of lead architect and hands-on implementation engineer..
Saurabh works closely with the leadership team in building & evangelizing the best practices around emerging areas like Cloud, Information Security & Next generation networks.